Is it right to judge others? 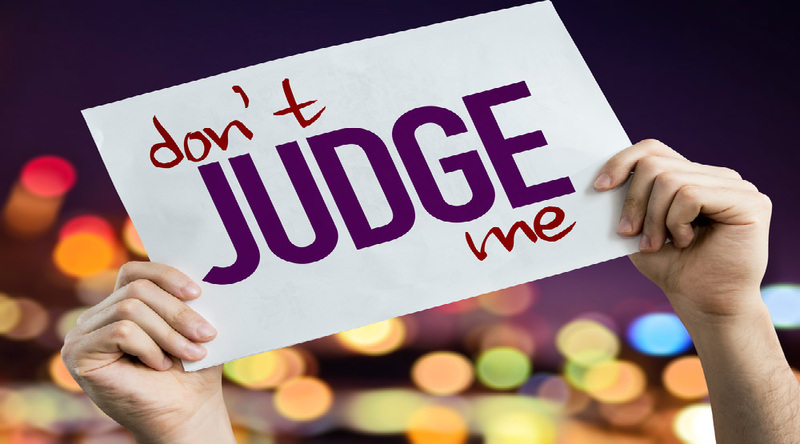 I have been told, on many occasions, that we must not be judgmental and that we have no right to judge others. Is this true? Before we continue, let us differentiate ‘judgmentalism’ and ‘judgment’: To be ‘judgmental’ is to be pompously (usually wrongly) pious and imperious, but to ‘judge’ is to genuinely weigh up matters and to convey one’s conclusions. This is valid. (1) To ‘judge’ in this case means to condemn; to deliberately pick-out, select, choose something to argue against; to subject to censure; to pronounce an opinion on what is right and what is wrong. Thus, to ‘judge’ in this text can refer to something petty or to something serious. (2) The ‘judgment’ in this part of the text is a different word, meaning to condemn the faults of others (with the inferred meaning of being an hypocrite). (3) A straw, chaff or small twig. A speck of something. (4) A beam, on the other hand, is a large piece of wood, solid enough to hold up something (like a roof). No problem in finding it! (5) The eye here can mean the physical or the metaphorical eye (eg to see with the mind’s eye; that is, to think rather than to physically see). (6) An actor or pretender; a dissembler; to feign/impersonate/simulate. Two-faced! (7) To pull out violently or sternly; to excrete out; to tear out quickly; One thing overcoming another thing; to reject with contempt. If we check these meanings against the text, then, we will soon discover that judging others is not the issue, or a problem, in this text; the argument is aimed at those who are hypocrites. They pretend to be ‘holier-than-thou’ but they condemn the very same things they themselves are guilty of. They see (or think they do, in their minds) massive flaws in others and blow them out of all proportion, whilst their own flaws (of the same kind) are much greater and far more obvious. They are warned to take a close look at themselves and to rectify their own errors immediately. Only then can they approach others, in an attitude of humility, in order to help/warn them. This is repeated in a very similar way in later texts written by Paul. In Luke 12:56,57 the Lord scoffs at us for refusing to judge even the smallest of things: “(Ye) hypocrites, ye can discern the face of the sky and of the earth; but how is it that ye do not discern this time? Yea, and why even of yourselves judge ye not what is right?” The sense of this is very straightforward – we are all very good at judging the weather and other observable things. We even judge things we know nothing about! Yet, we pretend not to be able to judge other Believers! C’mon. everybody judges others, things and situations every day! I say ‘pretend’, because that is exactly what is done. To our faces, people tell us they cannot judge, but behind our backs, it is a different story! Even if we say we never discuss the flaws of others, the very fact that we say that means we inwardly and secretly think about it and inwardly judge. It is farcical and dishonest to say we do not judge others, as Christ Himself observed. As we see in John 5:30, the judgment of Christ is perfect, because it is based on the Father’s will. This is reinforced in later Biblical texts, which point out that when we judge, we must do so righteously (ie in God’s will). Then, in 1 Corinthians 6, etc., we are castigated by the Apostle for not judging each other and for letting our arguments spill over into the world. That is, open for all unbelievers to see and condemn. We shall judge the world and the angels one day, yet we claim we cannot judge each other in the smallest of matters? Rubbish! says the Apostle. Indeed, he is disgusted with us and says “I speak to your shame”. If we may not judge each other, then what on earth did Paul mean when he said “I speak unto wise men; judge ye what I say”? Unless we wish to make complete nonsense of language, it means we should examine and then pass conclusions. That is, we must judge! It is important that we judge each other, because by doing so we will not be judged by the world for allowing sins to arise unchecked in the churches. And when we are judged, it is for the purpose of chastening, stopping us from doing wrong and urging us to do good. It is a dynamic way of faith. It is a sad reflection on our Christian lives that so few Believers are willing to be judged by their fellows. They prefer to carry on in their sins than to change their lives. On the other hand, every Christian thinks he is always right in his judgment when, in fact, he is probably expressing badly formed and highly subjective opinions. Godly judgement has nothing in common with opinions of men! True judgment is a careful weighing-up of the facts. They are measured against scripture (our only source of declared truth and reality). If they fall below the Biblical standard, then they are judged to be wanting and a warning can be issued. Judging others is partly a function of discipline and the aim of all discipline is to bring a person back to God and the right path. We must never be afraid to judge others, so long as we are not guilty of the same things ourselves (the biblical caveat). God requires us, as thinking, rational beings, to order our lives according to His word. We cannot do this without applying judgments, about everyday situations as well as about serious and far-reaching ones. It is a lie to say we do not judge others, because we do it all the time. Like the ‘evangelical smile’ that can hide the face of hatred, a ‘non-judgment’ attitude can hide a heart full of hypocrisy. Judge, then, but judge well. Warn, but do not be guilty of the same things. I no longer listen to those who tell me not to judge others; they do not know what they are talking about. Often, their motives are questionable; the one who shouts the most about not judging others is the most likely candidate for being judgmental in his heart, with hypocrisy; they also tend to allow what God does not, for one of many reasons. Those who say we must not judge might just be sitting on the fence; many Christians are afraid to speak the truth, or are afraid to be wrong, so they openly judge almost nothing. Others are guilty of doing what others are doing – so they naturally do not want that sin highlighted by the proper judgment of their fellows. And some are merely ignorant of Biblical teaching on the judging of others. (This error is rife). Unbelievers point the finger at Christians who dare to question their humanistic, unbelieving ideas and practices; they claim that Christians must not be ‘judgmental’ when, in fact, they are really saying “Shut up! We want the world to be run as a godless estate with no holds barred!” The result for society is decline, immorality, loss of ethics, and a growth in social cancer. So, judge and judge well! Don’t be cowards… there are too many of these in the churches as it is!